We have extensive experience with corporate, partnership, LLC and business formations. We can assist in the choice of entity for new business formations. On-going consultation may include research and development tax credit documentation, assistance and planning on corporate restructurings, inventory capitalization, and deferred revenue analysis. One important element of planning for high technology companies relates to the future utilization of net operating losses. Most venture backed companies must effectively plan for their corporate exit strategy, whether the exit is by way of a sale or an initial public offering. In either case, the company has a number of options available to help preserve and maximize the potential use of its net operating loss carry-forwards and tax credit attributes either in a post-IPO environment or to an acquiring entity. We can assist in the strategic planning of net operating loss management. If there has been a change in ownership, the company’s net operating losses may be subject to limitation. We can assist with the preparation of a change in ownership analysis (often referred to as a Section 382 Report) and can assist in determining a potential increase in the limitation through an analysis of the assets held by the company on the date of ownership. This built-in gain analysis often provides a dramatic increase to the availability of net operating losses. Executives and owners of closely held companies face tax issues that are generally more complex. They may involve stock options, deferred compensation, insurance, estate tax planning, and multi-state or non-resident returns. Entrepreneurs must contend with corporate dividend policies, unreasonable compensation challenges from the Internal Revenue Service, and business succession planning. We can assist by designing strategies to meet joint objectives of the owners and the company. Our firm has extensive experience with corporations with international operations. We can assist with foreign corporate formation, restructurings, license versus buy/sell issues, outsourcing foreign HR and compliance, foreign VAT and Customs, and domestic/foreign IP transfer issues. In addition, we can provide foreign tax credit, Extraterritorial Income Exclusion advice, and US transfer pricing documentation necessary to satisfy the US and foreign taxing authorities. We have broad experience in both domestic and international mergers and acquisitions. In outbound acquisitions, we can advise on the strategic tax decisions associated with stock, asset, or deemed asset acquisitions (coupled with “check the box” strategies). We can assist with the purging of foreign earnings and profits, or the retention of high-taxed foreign earnings by an acquirer. Our planning may also involve reviewing product mix and methods of modifying point of sales acquisition to migrate income to lower tax jurisdictions. In addition, we can address research and development ownership by jurisdiction and cost plus structuring where appropriate while maximizing foreign research and development credits in various foreign jurisdictions. ACG’s network of state and local tax professionals provide years of public accounting, government, and industry experience. Our state specialists are well versed in the nuances among state’s tax laws and we strive to provide companies with practical business solutions to complex tax laws. ACG’s menu of services includes planning, consulting, compliance, and audit representation. We identify opportunities for clients to minimize their state income and franchise tax liabilities while maximizing their deductions. 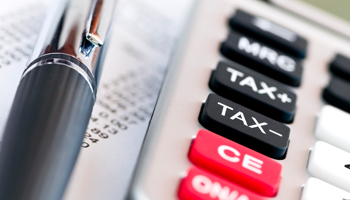 ACG’s professionals provide sales and use tax consulting services. These direct taxes and related exemptions often are overlooked by companies, and yet, have large financial impacts to the bottom line. Let ACG review your company’s current compliance environment to ensure that checks and balances are in place. ACG also provides voluntary disclosure services, refund analyses, and training. The Enterprise Zone program was developed by the California State Legislature to provide targeted areas with a means to stimulate business and employment growth. All businesses located in the zone boundaries are eligible to earn these tax credits. ACG has specialists that identify qualified employees through a process compatible with your Human Resource Department. ACG’s complete service entails vouchering qualified employees, calculating the credit and providing an audit ready manual.